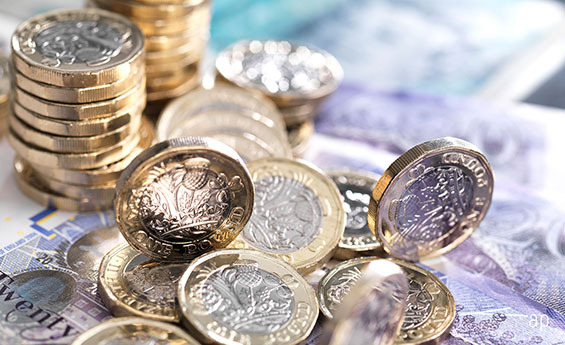 Special dividends are set to boost shareholder returns from income-generating UK stocks in 2019, according to the latest dividend monitor survey from Link Asset Services. The first three months of the year saw £19.7 billion worth of dividends paid by UK shares, a record first-quarter figure, with growth on a headline basis of 15.7%. On an underlying basis, which strips out special distributions, payouts grew by less-than-expected at 5.5%. The numbers were heavily boosted by a huge £1.7 billion special dividend paid by miner BHP (BHP) after it offloaded its US shale oil interests to BP (BP.) for $10.5 billion in mid-2018. That added to Intercontinental Hotels’ (IHG) £369 million special, which the report says would otherwise have stood out as generous in its own right. Indeed, special dividends had their best first-quarter since 2014, when over £14 billion were delivered to shareholders. “BHP’s special is, in our view, an example of best practise, using a special dividend to reflect a major change in the structure of its business, rather than simply because it was trading well,” Link’s report said. Ordinarily, after one strong quarter for special payouts, things revert to the mean, it adds. However, fellow miner Rio Tinto is following BHP in the second quarter and distributing the proceeds from the $3.95 billion sale of its Australian coal assets. As a result, Link expects that special dividends are set for a bumper year. Elsewhere, despite a rise in sterling as markets priced in a softer Brexit outcome, that gain was mainly against the euro. In fact, the pound is still some way below its level in the first quarter of 2018 against the US dollar, the currency in which many UK dividends are paid. The net effect was a £613 million, or 3.7%, exchange rate boost, meaning currency fluctuations accounted for two-thirds of the underlying growth rate. That sterling weakness boosted oil dividends in particular, with the sector delivering a year-on-year rise of 5.4% through Shell (RDSB) and BP. Meanwhile, pharmaceutical firms accounted for £1 in every £7 paid in the first quarter, with its 5.9% increase almost entirely down to exchange-rate movements. Those sectors that dragged on dividend growth included telecoms, where BT (BT.A) cut its payout and Vodafone's (VOD) was flat in euro terms; and retail, where most companies held their payments steady and some like Dixons Carphone (DC.) cut theirs. Debenhams, meanwhile, cancelled its dividend. Collectively, UK shares now yield 4.6%, down slightly from 4.8% in January, with the FTSE 100 set to yield 4.8% over the next 12 months compared to the FTSE 250’s 3.1%. “[In January] we pointed out that this [4.8% yield] suggested a severe undervaluation of UK shares, which have been firmly out of favour with investors from around the world,” the report concludes. Fund managers agree. Sue Noffke, manager of the Morningstar Bronze-rated Schroder Income Growth (SCF), notes that the last time the yield differential between UK and global equities has been this high, outside the dotcom bubble, was during the 1990-91 recession. "In order for the UK yield to return to its 30-year average of 3.5%, you would either have to see a fall in dividends in the order of 25% or a rise in the market value of 37%, so something has to give," says Noffke. She notes that during 2007/08's financial crisis, which was one of the worst periods for stock markets and dividends in the last 100 years, the cumulative cuts in dividends amounted to 15%. "So, we're talking about something that is materially larger as a hit to dividend income being priced into UK equities against global markets. That explains why, as a patient long-term investor, UK equities offer great opportunities now."